InterAD is designed for commercial operations, advertisements, events, media channels and for all who like to make the difference with new innovative interactive technology in public places. 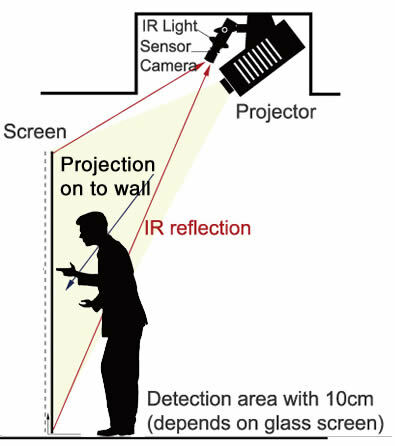 InterAd projects an interactive image on the wall and your body is used to create the interactivity. InterAd comes with a range of built-in templates to create a working solution in a short amount of time. By adding your own background image or logos, you create the ultimate in interactive marketing. 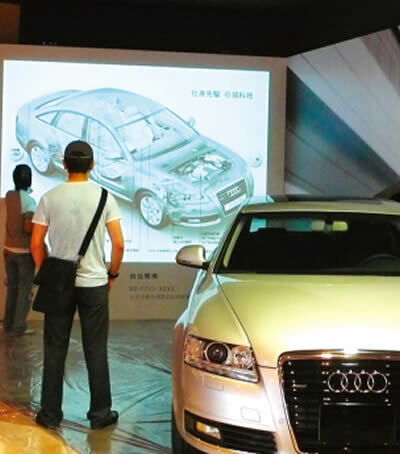 While the customer is playing with the display on the wall, they are viewing your promotional messages. If your require a specialised interactive presentation, you have the option of developing your own in a flash application. 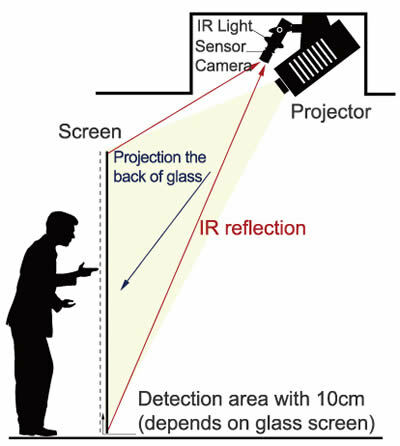 By far the easiest interactive projection system on the market. Shopping Centres, Airports, Schools, Libraries, Retail Areas, Foyer Entries, Museums, Day Care, Entertainment Areas, Promotional and Advertising Requirements.